Phonographic Copyright (p) – NV CNR Belgium S.A. Copyright (c) – NV CNR Belgium S.A.
One of my favourites sounds in 1991. Advanced sound for that time. Whether that was genius or accident is for others to decide. As Jacky Meurisse said myself, this record was made completely by him.It was a one track order by whom he was only paid with no royalties. Because it was a huge success, he missed out on a bunch of money. Later, he did not make the same mistake with "Pleasure Game Le Dormeur" with which he was fully involved. "Inssomniak" has the typical M. sound.The same choir and bleeps are used, on "Le Dormeur" (SA42 mix). It also contains the same track structures and edits. The beats and vocals are noticable sampled from Tyree : "Turn Up The Bass". The only remaining mystery is where does the sample "Inss..." come from and how is it possible to obtain "I'm asleep" when played backwards...? Sadly Jacky doesn't remember this detail. 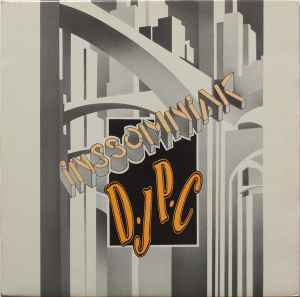 After "Inssomniak" all the tracks made under the name "DJPC" were from Patrick Cools himself, but recorded in Jacky's studio. Played backwards "Insomniak" sounds like "I must sleep"! I don't know how that's possible.